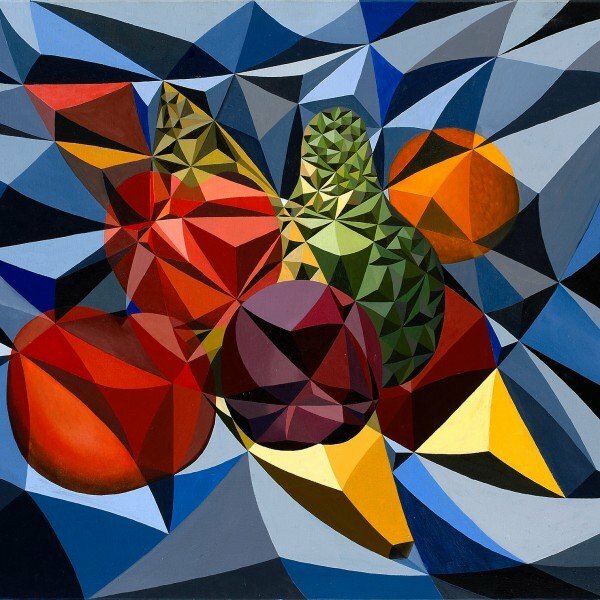 With this piece I continued to explore how Zedism was becoming a visual language that could be applied to almost any other style or subject matter of painting. So I picked the most traditional subject I could think of. 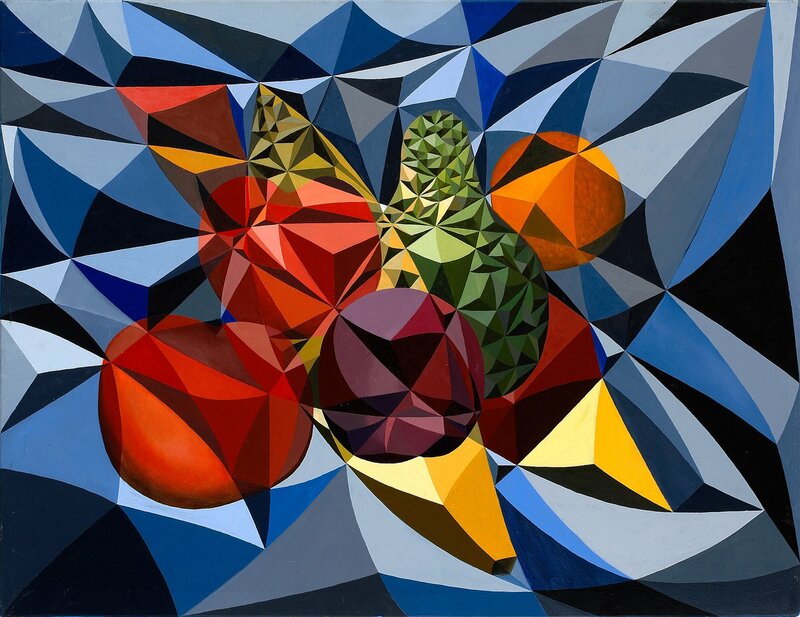 This piece broke through with overlapping geometries; one mapped onto the picture plane and another mapped onto the green avocado or pear-like fruit. Further exploration of the interplay between morphology and pictorial contents can be seen directly with the tip of the yellow banana to the right. Original painting is 39″ x 30″. Latex on wood panel.